Since adults spend so much of their time at work, the workplace is an important but underutilized area for suicide prevention. Mental health is a huge issue in the U.S., with many subsequent issues stemming from it — one of which is suicide. 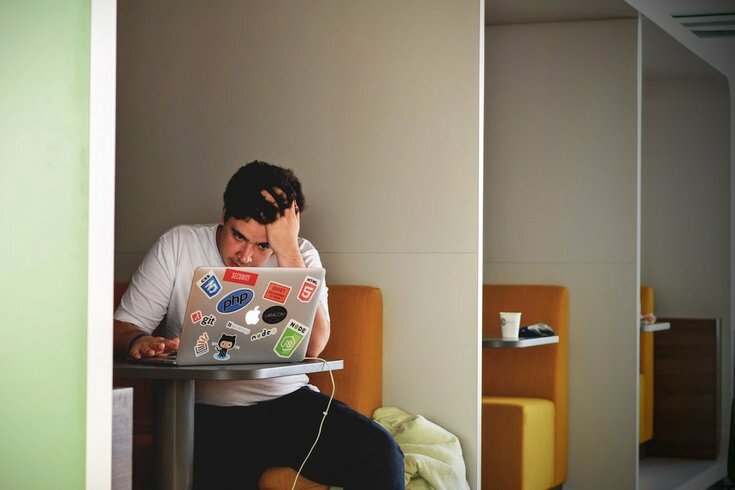 The Centers for Disease Control and Prevention released data about the jobs associated with the highest rates of suicide in the U.S. on Thursday, but before laying out the findings, it's worth noting that the suicide rate among the country's working-age population — people 16 to 64 — increased 34 percent between 2000 and 2016, the report states. Using information from 17 states that participated in the 2012 and 2015 National Violent Death Reporting System, the CDC analyzed the suicide deaths of 22,053 Americans of working age to determine these rates. Jobs were classified using the Standard Occupational Classifications from the U.S. Bureau of Labor Statistics, but as the data only included 17 of the 50 states, the findings could be slightly skewed. Per the report, men who work in construction and extraction had the highest rate of suicide in the United States. For women, suicide rates were greatest among those who work in arts, design, entertainment, sports and media. However, these are not the only occupations experiencing notably high suicide rates. For men, after construction, the highest suicide rates were in the following fields: arts, design, entertainment, sports, media, installation (mechanics, cable installers and commercial divers), maintenance and repair. For women, the next highest suicide rates were noted associated with these jobs: protective service (police officers, private investigators and TSA workers) and health care support. The occupations that experience the lowest suicide rates were the same for both men and women: education, training and library — including jobs as teachers, professors and archivists. The report notes that in some cases, rates for women were too low to report in some fields of work. "Because many adults spend a substantial amount of their time at work, the workplace is an important but underutilized location for suicide prevention," the authors of the report say. Further, these findings have made it clear to the CDC that "a comprehensive approach to suicide prevention, including workplace-based approaches, is needed." How to get help: In the United States, call the National Suicide Prevention Lifeline at 1-800-273-8255.